S1 Artspace presents the S1 Members Show 2011, an exhibition of new work by artists based at S1 Studios, Sheffield. 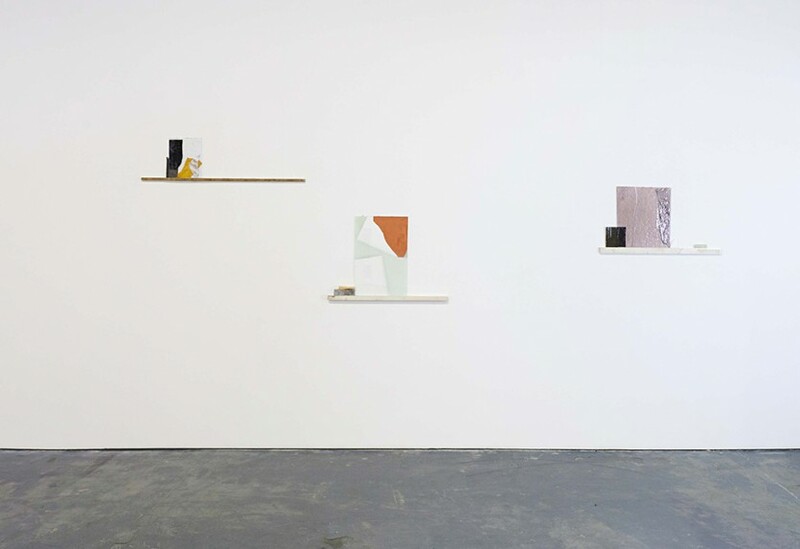 Marking one year into S1’s new premises, the 2011 S1 Members Show brings together fifteen contemporary artists currently based in our studios to present a group exhibition of new work produced over the past year. Several of the artworks on display have been produced specifically for this exhibition. 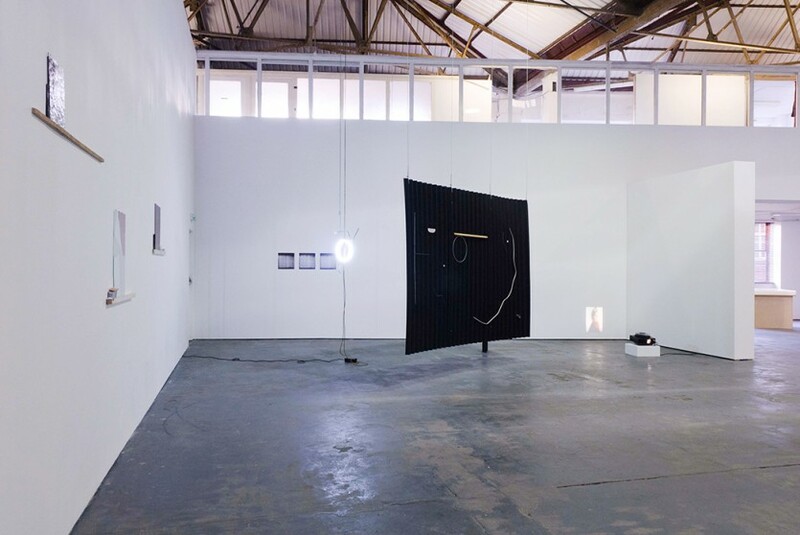 The S1 Members Show offers audiences an opportunity to encounter artists at the forefront of contemporary art production working within Sheffield today. The exhibition includes a new sound installation by studio holder Haroon Mirza who won the Silver Lion at this year’s Venice Biennale and is currently presenting solo exhibition, I saw square triangle sine at Camden Arts Centre, London. Also included is Roanna Wells, whose intricate hand-stitched silks were selected for the 2011 Jerwood Drawing Prize, and video artist Joseph Cutts whose work is currently being presented at Project 101, The Lab Gallery, New York. James Clarkson is presenting three installations which reinterpret everyday objects into modernist sculptures, Peter Martin projects 1980’s television advertisements into the gallery, spliced with a hypnotic soundscape, and Emily Musgrave’s fragile sculptures employ found objects which masquerade as other materials. 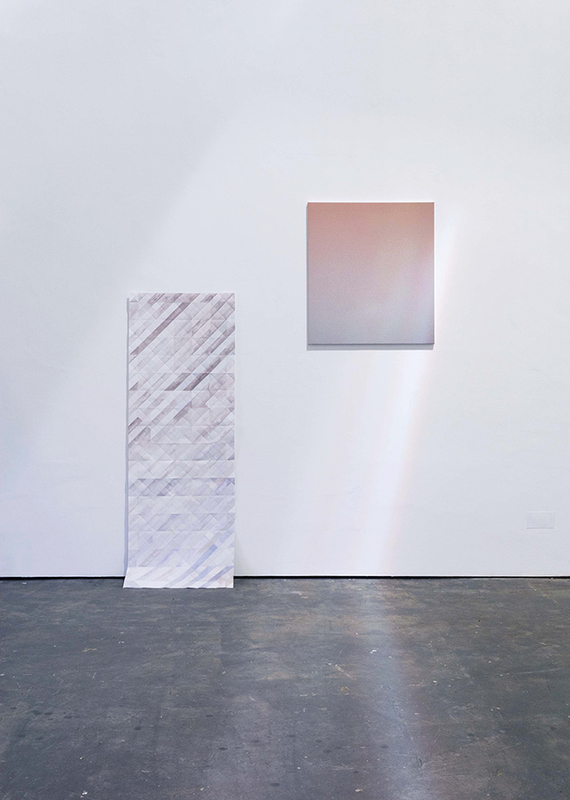 The S1 Members Show provides studio holders with an opportunity to showcase their most current artworks, allowing the exhibition to act as a testing ground for the development and presentation of new concepts and ideas. S1 Studio artists retain a diverse and distinctive approach to contemporary art making. Featuring sculpture, installation, video work, photography, print and painting, this is a diverse exhibition presenting artists at varying stages in their careers from recent graduates to artists emerging on an international stage. S1 Artspace provides studio space for contemporary artists at varying stages in their careers, from recent graduates to established artists working at an international level. 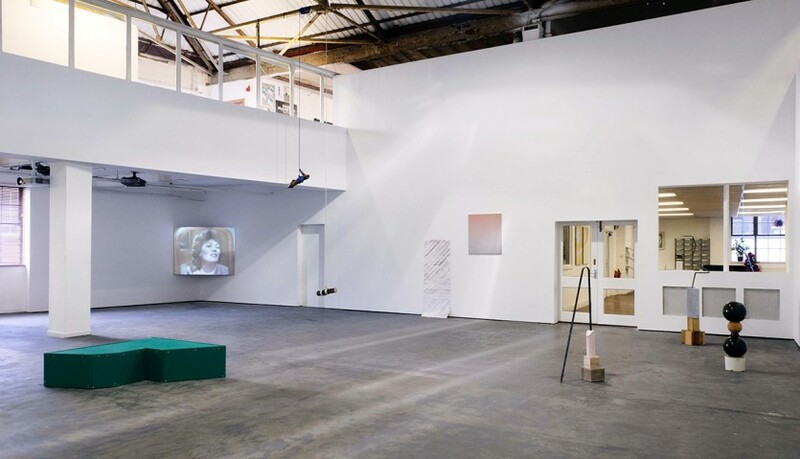 The shared open plan studios allow artists to develop their practice in an environment that supports and encourages dialogue about contemporary art and the free exchange of ideas. S1 Artspace is a nationally recognised organisation committed to supporting and enabling practicing artists in the Yorkshire region to develop new work. 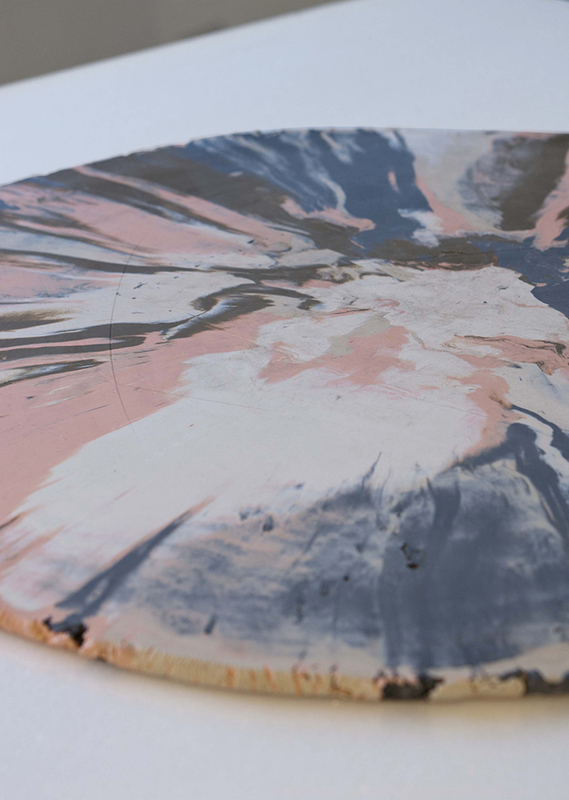 James Clarkson explores images and materials assimilated from modernist art and design to produce sculptural works from found materials, bronze, marble and ceramics. His practice incorporates the principals of the Bauhaus school, deconstructing objects into a series of simple painted colours and forms to inform the creation of new works. Selecting and abstracting specific moments of art history James creates a formal looping between the work, himself, and the past. This process looks to impellent a method of working where sculptural objects and their surrounding material are barely distinguishable. Joseph Cutts takes an increasingly rigid and formalistic approach to the medium of film as he deconstructs and fragments narrative and scene. In this process of stripping down to its most elemental forms, he creates a hypnotic, rhythmical visual experience. Seeking at once to address the viewer’s gaze and produce a pleasure driven visual experience Cutts emphasises the methods of filmic display, highlighting the film’s supporting mechanics and drawing attention to the relationship between media and form. Jessa Fairbrother’s most recent photographic series consciously references archive photography made in the Salpêtrière Asylum, Paris at the end of the 19th century. These anthropological studies of women who had experienced trauma became central to the construction of a visual language of hysteria. Exploring conceptions of femininity from the Victorian period through to present day Hollywood film, Jessa’s deliberately staged images depict performed aspects of femininity and confront accepted models of behavior. 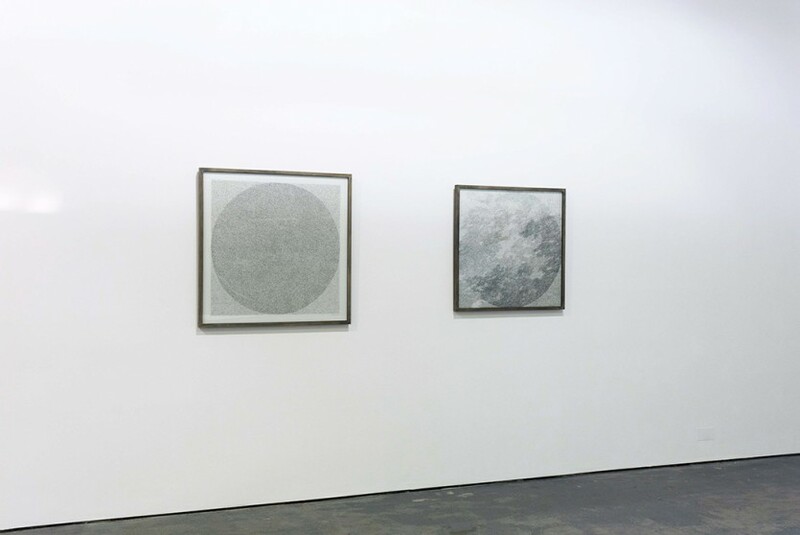 Natalie Finnemore’s practice progresses through drawing, printmaking, photography and sculptural forms. She creates abstract sculptural installations based on architectural interventions which often draw influence from the structural conventions and nuances of space, line, colour and composition. The work develops through her use of photography and printmaking as an investigative tool in which to construe and consider her environment. Such studies seem to mature and flow seamlessly into the creation of sculptural forms. Through working this way, relationships and interactions are built between works. Jerome Harrington’s practice is interdisciplinary in nature and often draws from his background in glass making. 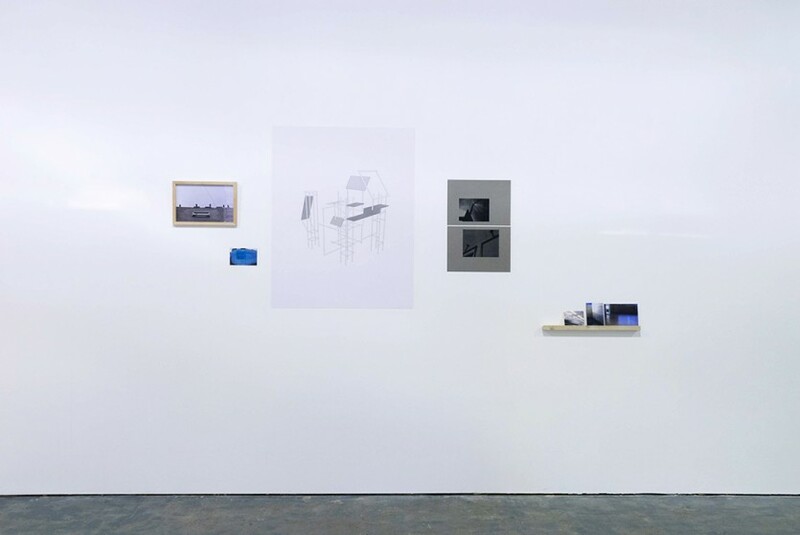 These explorations are manifest through a wide range of outputs including the production of new objects, short films, critical writing, and projects which involve complex collaborative dialogues and curatorial roles which aim to incorporate the subjective voices of other practitioners into the research. India Hobson explores a deeply personal relationship with image making related to a fascination with the natural effects of light. She treats photography as a tool in which to create an instant document of her everyday surrounds. Hannah Knights engages with a meditative process of making. Establishing a muted visual vocabulary the artist subtly alters existing imagery and found photography representative of a recent past. Dissolving their representational elements, Hannah begins a process of transformation, subsuming the original images in pure colour. These works become individual parts of multi-layered installations whose delicate temporary nature exists in a transitional, in-between state. Peter Martin finds new ways of exploiting information that technology makes readily available. This materialises as a combination of sculptural installations and traditional digital forms. Using source material from television, the Internet and popular music, he re-appropriates particular aspects to find new significance, meaning and modes of understanding. 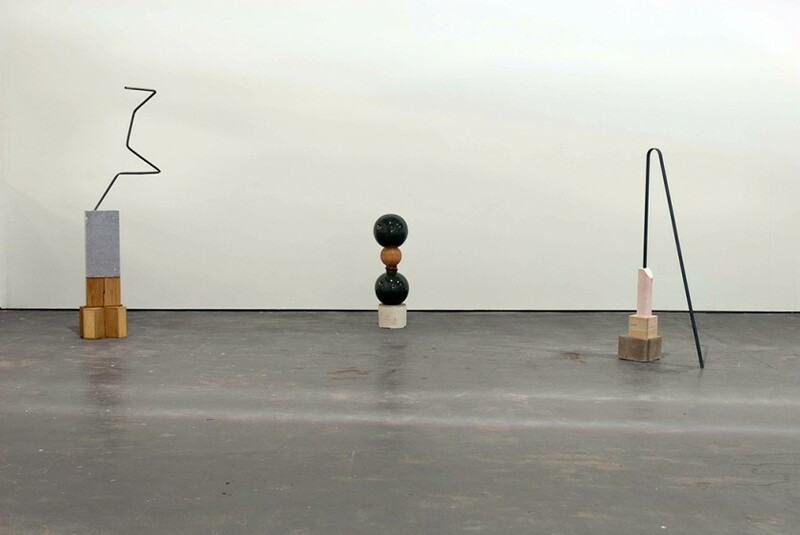 David McLeavy’s work explores and unravels the possibilities of sculpture and the factors that determine its physicality, or lack thereof, when placed in different environments. His sculptural installations employ a mixture of rough and robust materials with industrial or manufactured associations, juxtaposed with highly finished components that draw reference from modernist design and architecture. 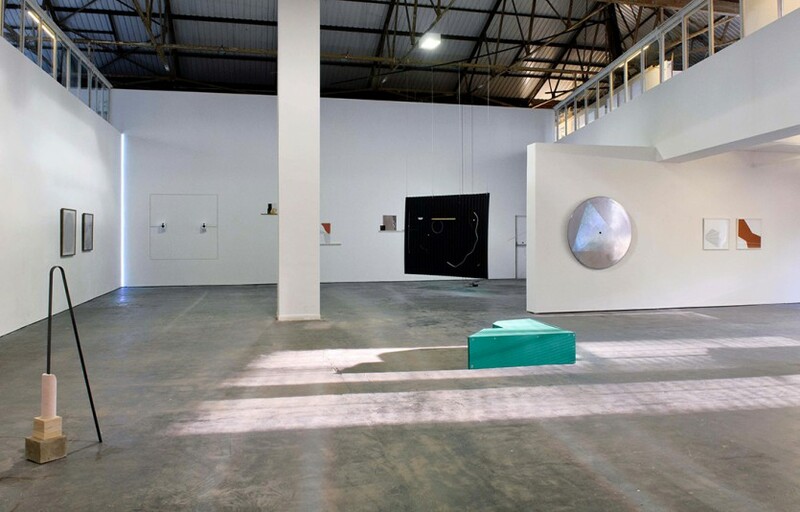 The work reacts to the possibilities and limitations of its existence within the gallery environment. Installations are often simultaneously tactile and fragile in appearance. In his work Haroon Mirza attempts to isolate the perceptual distinctions between noise, sound and music, and explores the possibility of the visual and acoustic as one singular aesthetic form. 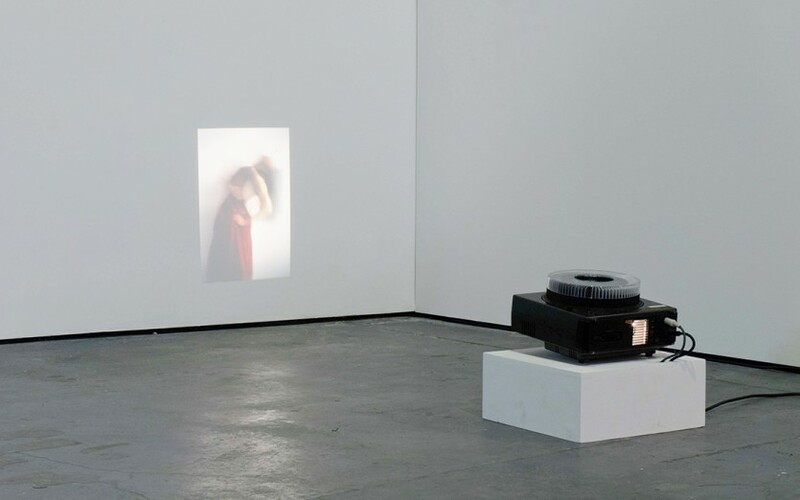 These ideas are examined through the production of assemblages and sculptural installations made from furniture, household electronics, found or constructed video footage and existing artworks combined to generate audio compositions. The subject matter of his work pivots around socio-cultural systems such as religious faith or club culture and their relationship to music. Charlotte A Morgan’s practice is concerned with spatial and social conditions, specifically the interplay of history, memory and the imaginary within the architectural and natural landscape, the temporary and mobile in intersecting art and architectural practices, and the influence of ideology upon design. Her work combines art writing, structural propositions, print, archival material, still/moving image and events. Her multifaceted installations combine photography and designed structures with supplementary functions such as storage and presentation, tied with imaginary, dysfunctional or unrealisable elements. The structures often suggest themselves into the histories, presents and possible futures of the contexts for which they are produced. Emily Musgrave’s work addresses the formal qualities of abstract sculpture and collage. Through experimentation with composition, she tests materials in order to explore their value and substance. Working with both assemblages and two-dimensional collages Emily makes multiple compositions with shifting formal patterns, often using inexpensive fabrics and found artificial materials to imitate luxury or substantiality. Each work develops in such a way that it directs the next, occasionally revealing moments of trial, investigation and progress. Within each work there is a precarious sense of balance that may shift and collapse at any time. James Price is a multidisciplinary artist working with live art, video and animation. Recent projects have confronted mental states such as boredom, transitional journeys, and conceptions of time. James frequently engages in performative collaboration with other artists and technology, making connections between different positions and materials. Jade Richardson’s multifarious practice meditates on philosophical ideas of class, pedagogy, meritocracy, and utopias. Her elegantly developed interventions are presented with a deceptive simplicity and are infused with Richardson’s unique sense of humour. Jades artworks amalgamate sociological research with an imaginative perception of the world, often using everyday or readymade objects and text to explore their dialectical tensions, the spaces they occupy and their contexts to construct meaning. Roanna Wells’ work is an exploration into the multiple processes of mark making and the varied ways of expressing line, form and space. The majority of her work focuses on the relationship between drawing and stitch and she is interested in the similarities and differences between the two, their ability to make solid and permanent a thought or observation, and to create pattern, texture, stillness or movement. Roanna fills space intuitively with spontaneous patterns reflecting the natural order found in the world.